A sublime flames pattern, unique 360° design and high quality materials. The Sunwood Marino is a beautiful gas patio fireplace that is very suitable for use in both your own garden and on a catering terrace. Heat, comfort and cosiness guaranteed! 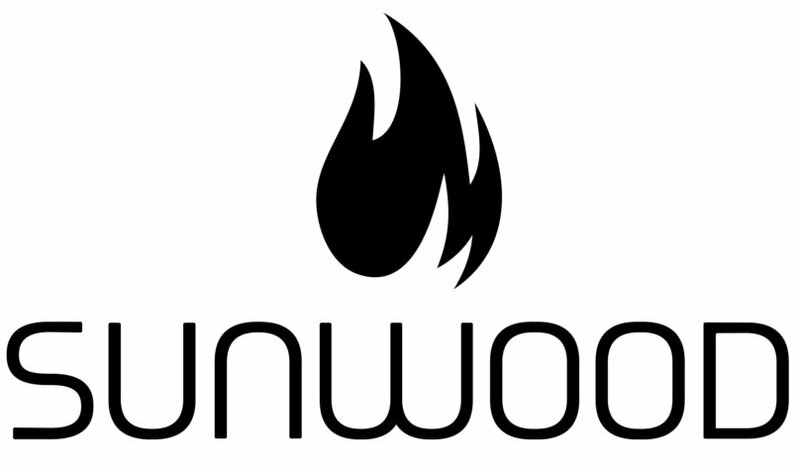 Sunwood is a Dutch family business specialised in gas-fired outdoor fireplaces. The Sunwood brand was launched in 2009 as 'Sunderman Fireplaces' but they have more than 40 years of experience in producing and developing beautiful gas fires. The history as an entrepreneurial family dates back even before the Second World War. The fireplaces of Sunwood are still completely produced in the Netherlands, but are meanwhile sold all over the world. They now have distributors in Europe and the Middle East. For the production of the gas fires only the best materials and components are used. Production takes place in accordance with European regulations (CE) and there is always an intensive quality control which guarantees the quality. Perhaps the most popular model is the Sunwood Marino. This popular patio fireplace is - besides the three standard colors - available in all RAL colors. This makes the Marino unique. You can specify the color when you buy and therefore there is always a patio fireplace available as desired. The fire is beautifully visible from every corner of the fireplace; the fire invites you! The patio fireplace Marino is very suitable for use in the catering industry. It is proven that guests are willing to stay longer on an attractive heated terrace. Especially if they are right next to a Sunwood Marino. The Marino can be placed everywhere. All four sides of the Marino outdoor fireplace are equally beautiful. Due to the lack of a front or rear one does not have to put the fireplace in front of a wall to put away. Do you want to create atmosphere in the middle of the terrace? No problem at all. The Sunwood Marino fits everywhere. The fire starts at table height. This makes it possible to literally attach the outdoor fireplace to the table. The Marino provides warmth and atmosphere in the place that suits it most: just with your guests at the table. Order Sunwood Marino gas fireplace? Feuerkorb-shop.de supplies the Sunwood Marino patio fireplace directly from stock. This often means that your order will be shipped still the same day. Would you rather come and see the Marino in our showroom first? No problem. The coffee is ready for you!